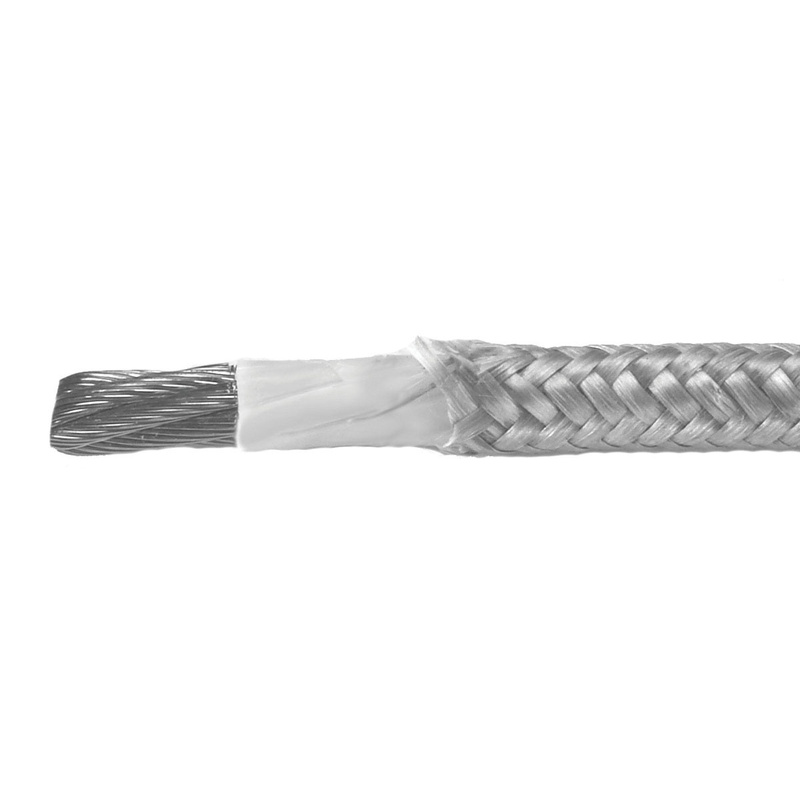 Omni Cable 6-AWG Type MG lead wire has a voltage rating of 600-Volts and withstands a temperature of up to 450 deg C. This copper cable with glass reinforced mica tape insulation, has an insulation thickness of 0.030-Inch. The fiberglass braid jacket in tan color, has a thickness of 0.017-Inch and nominal diameter of 0.31-Inch. It is suitable for use in equipment wiring in iron and steel mills, cement kilns and glass plants. This wire is perfect for internal wiring of cooking appliances, domestic and commercial ovens. The lead wire meets UL 5107 and 5359 standards.